Ella was born in 2009 and has been a huge JOY in the life of all who know her. She has been a fighter since day 1. When she was born the doctors suspected that something wasn’t quite “right” with her, but we wouldn’t have an actual diagnosis until she was 16 months old. I remember sitting in the doctors office as he told us that she had a rare syndrome called 9q deletion (now called Kleefstra Syndrome), and that he didn’t really know anything about it. He said that Ella would be our teacher and we would learn from her. He told us that crawling, walking, talking, etc, would be difficult, but not impossible. He also told us that seizures were a part of the syndrome. 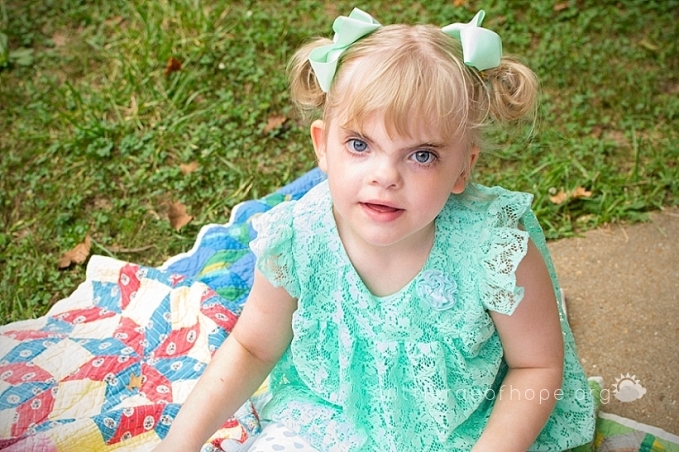 She began having seizures at 2 years old. Ella also has a variety of struggles/diagnosis that affect her everyday life. She struggles with constant GI issues, hearing/vision impairment, autism, and low tone. She has been hospitalized several times in the last 12 months. Ella is full of giggles, smiles, silliness, and stubbornness (in the best way!) She continues to do what we were told she might not do! 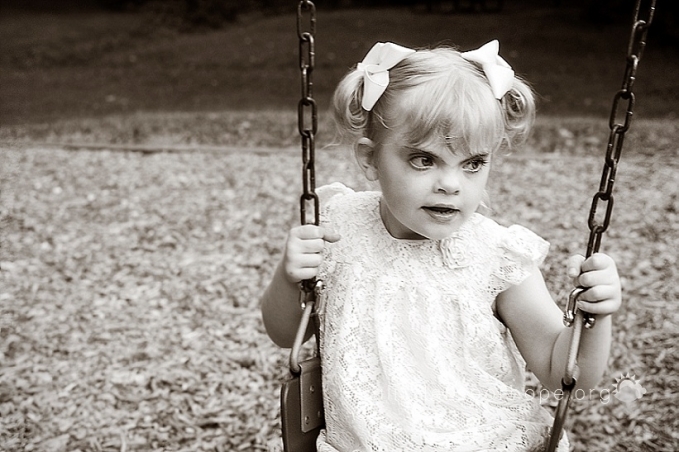 She began walking at age 4 completely unaided. She is learning to climb and run! Her gait may never look like a typical child, but that’s ok. Ella is who God made her to be and she continues to show us daily the Joy in life, and the Joy in serving God. She is a much prayed for child and I know that God has big things for her life. A huge thank you to Larae Photography for these images. Jose was a student of mine. Already having his sister in my class, I looked forward to having him as well. Charismatic, humorous, and benevolent; Jose was a true pleasure to have in class. His ability to maintain maturity when needed and immaturity when the situation called for it made him an enjoyable human being. While playing for the school volleyball team, Jose began to complain of massive pain in his leg accompanied by a growth. Many of the staff assumed that it was an odd fracture or sprain, but the grim diagnosis of a tumor was the last any of us expected. Cancer cells had started to grow rapidly in his leg, just around the knee. Jose was quickly admitted to a local hospital that is known for its subpar care. Through utilizing some community outreach and various members of the school staff, Jose was placed in one of the top pediatric oncology wards in the nation, Memorial Sloan Kettering. He was treated by the doctors and after several surgeries, was given the all clear that the tumor and cancer had gone. He was able to return to school and was told that in the future would be able to resume athletic activities, hopefully. Eleven months after his first diagnosis, Jose was told that his cancer had actually spread to other areas of his body. There were growths in his shoulders and lungs. Doctors and nurses scrambled into action to come up with a plan of treatment, before performing surgery in the summer of 2014. It was here that I was able to come and visit Jose and his true colors showed. His whole family was there. They looked as if they would be camping out in the hospital. While there, Jose was all smiles. Never once did he show any sign of defeat. I stayed with them for a few hours and joked around while having small talk. Jose couldn’t wait to return to school. It seemed to bring him a sense of normalcy to his now dramatically altered life. Prior to leaving, his family was discussing the visiting schedule and what was discussed was remarkable. His mother and older sister discussed how they would spend time with Jose while caring for the youngest brother. His mother and sister were taking 12 hour shifts to be with Jose while he was in the hospital. At no point would he be left alone. This really struck a chord. Having family members suffering from cancer or serious traumatic injuries in my own family, we became accustomed to visiting family in the hospital on shifts to help care for them and keep them company. But at some point, we had to leave to take care of our own families, jobs, or school responsibilities. Jose, however, would never be left alone. That was a true showing of the strong bond that this family has forged over the years. Just before I left, I joked to Jose that I expected all of my work to be done as he would still be on my roster in school and did not get any special treatment. Several days into the school year, his sister approached me and asked for work for Jose. I was in shock, but obliged, not expecting any to be completed. Several days later, his work was returned, completed and done properly with no instruction. It was shocking. This continued throughout the school year. When Jose’s white blood cell count was high enough, he would come to visit the school and it seemed that the whole school day was temporarily suspended as staff and students alike flocked to go see him and talk to him. His smile never seemed to vanish even after 3 separate cancer treatments and numerous surgeries. Jose was poised to return to school for the 2014 – 2015 school year. Once again declared cancer free, he hoped to return to normalcy. Jose was in another one of my classes and towards the end of the semester, he informed me that his cancer had returned and that due to the massive amounts of chemotherapy and surgeries, he was running out of options. More chemotherapy would have killed him, he said. Surgeries were no longer viable for this cancer. It seemed that for the first time in this battle, Jose let his guard down and that smile began to fade. The once seemingly unbreakable Jose was allowing his fears to get the best of him. As the remainder of the school year progressed, Jose was given a proposition to try some experimental treatments that were entering the human trial phases here in the US. With no other recourse to fight his cancer, he and his family accepted. Nobody knew what to expect, but we all hoped for the best. The school year progressed. Jose was intermittently in school. His visits were sporadic, but more than welcome by all. Towards the end of the year, he was cleared to return to school, seemingly bringing back the normalcy to a teenager. He passed all of his state exams that are required for graduation. Prom was a hit. It all seemed to settle. 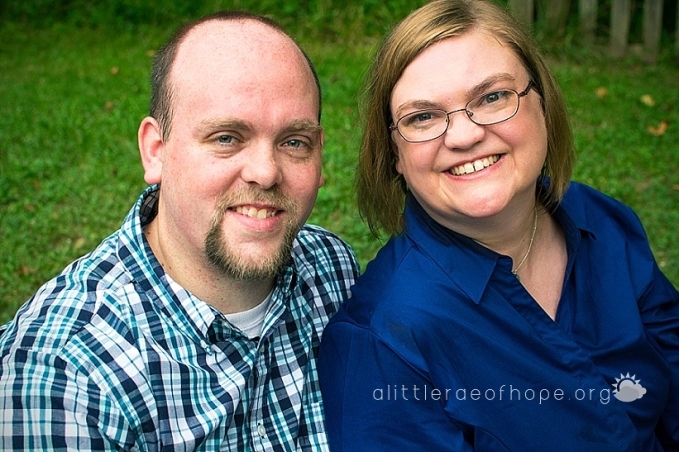 Upon hearing about Hope Prevails, I reached out to his mother and discussed doing a shoot. She happily agreed and told me something amazing. Jose was once again cancer free. His doctors also seemed more assured that it will be less likely to return. I’m looking forward to seeing him again in a few days; enjoying his final year of high school and many more years of life. A special thanks to Gar Yee Photography for these priceless images. I cannot believe it has been a year since we shared this organization with the world. So much has changed in that year and I’m eager to see what the next year brings. I don’t want to be “busy” with this organization. I hope this organization never grows. I wish it would stay just as it is now. I pray that we never take photos for another family. I can tell you that I obsessively check my e-mail. You know that little red notification that lingers on your phone when you have unread mail? Yeah, I don’t have one of those! I check my e-mail a million times a day. Every time I click that envelope on my phone I say a little prayer that it’s not a new session request. My heart aches with every single one we get. I cry with each story. I’m immediately attached to every family. Because I wish that our organization wasn’t necessary. I wish that families like Leah’s didn’t need their last family photos taken. But the truth is, it will continue. We will continue to get pleas from families to take their photos before their loved one passes away. 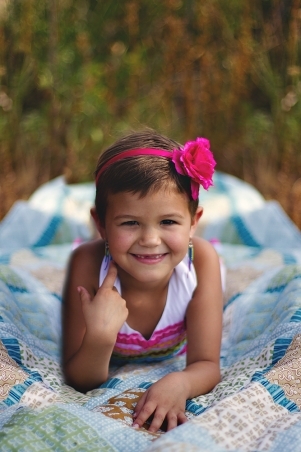 We will get families that want photos taken before their mom loses all of her hair to chemo. We will continue to grow across the U.S. because every day people are diagnosed with life threatening illnesses. And each time we get those pleas, we will do everything in our power to provide photos for those families. I know how priceless those images are and how powerful they can be to get families through tough times. – Continue to pray for the families that you see featured on our blog. Many of them are still fighting and could use the power of prayer on their journey. – Share this page. Share our story. Tell people about us. We cannot help families if they don’t know that our services are available. – Share this page with your family photographer or photographers in your area. We cannot help families if we do not have photographers in their area. We can NEVER have enough photographers!! I especially hope to grow our photographer base locally in Indianapolis so that we can provide sessions for more families at Riley Children’s Hospital and Peyton Manning Children’s Hospital. 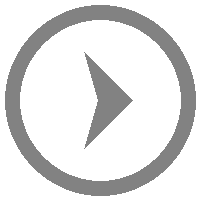 – Consider donating monetarily. All donations are tax deductible and no amount is too small. We are 100% volunteer run, including our photographers. However, each family receives a beautiful professional press printed album and a USB of their images. It costs roughly $100 for each family to receive their gifts. Meet Avery Kay- our determined, courageous, angel who cares more about those in her life than the burden she was born with when she entered this world. Avery was born with a very rare progressive genetic disease called Pompe which currently has no cure. Pompe effects and weakens the muscles throughout the body. She currently requires bi-weekly enzyme replacement infusions, immune suppression treatments and extensive physical, occupational, and speech therapy. Even with the muscular challenges she faces her favorite activity is singing and dancing her little heart out at the dance studio and in the living room of anyone’s home. She may not have the endurance or physical strength that most 5 year girls do but nothing keeps her down for very long and her determination to never give up drives her to live life like we all should. She lives everyday to it’s fullest and has taught those around her to do the same. She loves playing with her big sissy Mya, her family, friends, school, dance, and dressing up like the princess she is. Thank you, Love That Photo, for these priceless images. Sydney was born in August 2006 and appeared to be developing normally until five and one-half months of age. She woke up one night, went limp, and stared off to her side. From that moment on, life as we knew it had changed. She went through all the standard tests: EEGs, MRIs, etc. Although the MRI was clear, the EEG showed disorganization in the brain and she was diagnosed with intractable epilepsy. After only three short months, her neurologist told us we needed to go to a pediatric epileptologist in Minnesota. After numerous medication changes, an intense and lengthy trial of the ketogenic diet, and nearly four years of traveling to and from Minnesota, we decided to seek treatment locally since we had exhausted all options other than surgery, which with her type of epilepsy was not a viable option. Since changing neurologists, Sydney has tried an additional two medications and had a Vagal Nerve Stimulator (VNS) implanted. After constant adjustments with the VNS, we have still seen no seizure reduction. Sydney is currently on three different types of medication, none of which are approved for children and many which have serious long term effects. She is still having one to three seizures almost daily lasting anywhere from two to twenty-five minutes. She has not gone for more than ten consecutive days without a seizure in the past five years. Her current meds are not holding off her seizures, which for the past four years have just been upon waking, and sadly she has started to develop a different type of drop seizure that is not upon waking; it happens randomly throughout the day and is far more detrimental to her safety. Our hearts break for her with each seizure, knowing how it must make her feel and knowing any seizure can be fatal, and that we could lose her at some point. Not a day goes by that we do not think of seizures. We live in constant fear that they will continually progress, get longer in duration, more frequent, or at random times of the day. Will she fall and hit her head? Will she fall down the stairs? Will she stop breathing? It is a constant roller coaster of emotions! Sydney is now nine years old. She is a shining star in our, and many other’s lives, and we cannot even remember what life was like before she came into this world. Despite the daily obstacles she faces, she is a fighter! She remains nonverbal, more than likely due to the damage to her brain after thousands of seizures. However, this spunky little girl finds ways to be heard. Whether it is attempts at verbalizing, using sign language, using her communication device, or physically pulling you to what she wants, she will find a way to get through to you! She loves to ride horses and brings smiles to the faces of everyone there when she walks into the stable and lets out her “horsey sound”. They know when Sydney has arrived! She also loves music. She loves to be sang to, listen to music, and watch music videos–especially The Laurie BerknerBand’s “We Are The Dinosaurs.” EVERYONE who knows Sydney knows the words to that song! We are lucky to have Sydney in our lives. We like to think about her situation in as positive a way as possible.Her situation is not a burden; she is not a burden. She is a blessing and has taught us far more about life than we could ever imagine. She helps ground us and makes us realize what is really important in life and we love her beyond words! A special thank you to Hannah Verene Photography for these images. Blake and I have been married for 18yrs this November 28. We have 2 amazing children. Michael who is a senior this year and Kaitlyn who is just starting 6th grade, Blake is a local firefighter while I work in our local Labor & Delivery. A few years ago I started having mammograms because I had cysts in my left breast. They’ve been watched to see if they should be drained. One started to get really painful and so I talked to my OB/gyn. My mammogram and ultrasound was scheduled for the next Monday. I was told they found some calcifications and needed to do biopsies. They were scheduled for Wednesday. My doctor called me at home on Thursday with my diagnosis. It was agreed on that I should go to MD Anderson in Houston. Referral paperwork started that day. I was diagnosed in June of this year (2015). Today is my first day of chemo (7/14/2015). I will have chemo every 3 weeks for the next year. In October we will schedule my surgery which will be a bilateral mastectomy and lymph node dissection. The cancer has metastasized to my right axillary node. The first biopsies, I wasn’t scared, however Blake was. He knew from the beginning that they would be positive. After that, I became very nervous and depressed. I couldn’t even listen to Christian music at all. It all made me cry. I’m now nervous about the testing for other cancers. My doctor called me at home on Thursday with my diagnosis; my genetic testing came back positive for a gene called BRCA2 which now makes me high risk. My dr suggested I go out of town for treatment, we all agreed on that I should go to MD Anderson in Houston. Referral paperwork started that day. I’ve had 5 biopsies. All have been positive. My cancer covers a 12 cm area of my body. The tumor is estrogen positive, progesterone positive and HER2 positive. Which means it’s fast growing. I will have to have my ovaries and Fallopian tubes removed a double hysterectomy, lymph node dissection, and reconstruction. This will be several surgeries. Thanks to Photos by V for providing this family with these images. Angel was diagnosed with Non-Hodgkin’s T-cell Lymphoblastic Lymphoma, a blood cancer, on March 13, 2013, at the age of 11. She was feeling winded and short of breath from time to time. Her mother thought maybe she had childhood asthma, and took her to urgent care. They gave Angel an Albuterol treatment, but she just couldn’t inhale and couldn’t explain why. They took an X-ray and said they saw a shadow, and sent them immediately to Children’s Hospital of the King’s Daughters in Norfolk, Virginia. Angel was admitted to PICU that evening, with an excessive amount of fluid near her heart and around her left lung, where the cancer manifested. Doctors drained over two quarts of fluid. She spent five days in PICU before getting transferred to the 8th floor Oncology ward. Angel’s mom shared, I just told my daughter she has cancer. She asked me if she was going to die. I said, “no, ma’am.” She asked me if she was going to be bald. I said, “yes, ma’am.” She smiled the biggest smile and said, “I’m going to be all right.” Angel gave her a thumbs up sign, they developed the hashtag #wegotthis, and set to work. Angel went to clinic every week, then every ten days, then eventually every two weeks. She’s had a dozen or more blood transfusions, and the same number of platelet transfusions. She’s had over 20 spinal taps. She had a power port surgically inserted to receive her IV chemotherapy medications. She has had home injections of radiation medication. She’s had naso-gastric tubes inserted for nutrition. She’s had over 25 different home prescriptions throughout treatment. Angel fought through two bouts of CDIF [a bacterial infection] in the first year of treatment because of her low immune system. Family and friends lent support through it all. Angel remained as active as she could during treatment. One of the first things she did, while still in the hospital, was start The Post Card Project. So many cards and letters were coming in, she wanted to share them with other children on the ward. Her family set up a mailbox, and asked that postcards of support be sent from all over the world for distribution. Angel volunteers at Norfolk Animal Care, including selecting three favorite animals as “Angel’s Picks” each month for a waived adoption fee, supported by Friends of NAC, and bringing awareness about childhood cancer. She participated in a number of donation drives to support the center, as well. Her former dog, Emmy, went to live with a friend, as the family couldn’t care for her with so much time at the hospital. Emmy is now a therapy dog. Angel found animal companionship at home with Sammy, a water-loving cat, through the end of her treatment. Angel was able to attend a number of camps during treatment breaks, and is active in Girl Scouts. She was a member of the Animal Awareness club and Color Guard at school, and maintained Honor Roll the entire time she was sick. July 15, 2015, marked the end of over two years of treatment, and on July 24, she was declared cancer free. Angel’s port was removed on August 10. She turns 14 on September 4, and starts high school on September 8. Thank you Portraits by Maggie Ann for these images. Katelyn was born January 14th, 2009, with a congenital heart defect called Hypoplastic Left Heart Syndrome. At seven days old, she had her first stage open heart surgery called the Norwood. She did better than expected during the surgery. Seven days after the surgery, Katelyn coded twice within a small time frame of time and had problems with her heart rate. She was placed on ECMO for four days. During the time on ECMO, Katelyn had five strokes, developed a seizure disorder, and was marked as failure to thrive. Katelyn slowly started doing better each day and was able to go home at the age of four months. Three days later, Katelyn turned blue on us at home. Her stint had clotted on both ends of the shunt. During an emergency heart catheterization, Katelyn coded again and went into third-degree heart block. The next day, Katelyn coded again because of her severe Triscupid Valve regurgitation. With adding on new medications, Katelyn was able to recover and return home after a month of hospitalization. At six months of age, Katelyn had her second stage open heart surgery called the Glenn. She had no issues with this surgery. We went home to have a “Normal” life. Ten months later, Katelyn’s Triscupid Value was severely regurgitating causing her to have another open heart surgery to implant a mechanical valve. With the mechanical valve placement, her heart went into third degree heart block so she had a pacemaker placed. A year and a half later, the mechanical valve clotted severely. She had to have another emergency open heart surgery to have a PIG valve place. In February of 2012, Katelyn was admitted into the hospital with heart failure and was enlisted on the U.N.O.s list for a heart transplant. She waited six months (June 23) for her new heart. She was discharged from the hospital two months later. Since Katelyn’s heart transplant, she has dealt with ups and downs but with technology and a great cardiac team katelyn and her donor heart are doing great! A special thanks to Kayse Enneking Photography for these perfect photos.